My Chinese-American boyfriend’s birthday came less than a month after we started dating. 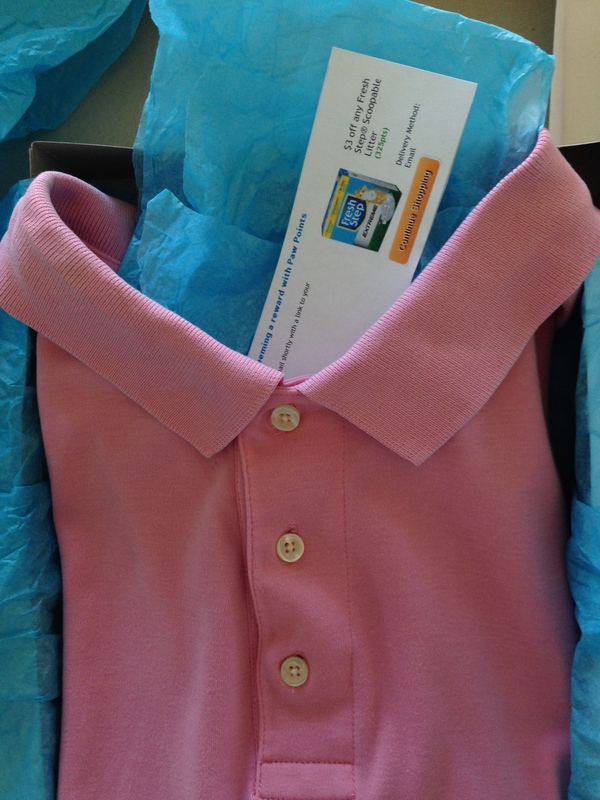 I got him a polo shirt, carefully cut off the tags, and wrapped it up in tissue paper. Andy opened it, thanked me, and sat in expectant silence. “It’s very nice. Soft.” Andy patted the material and looked at me again. Andy inspected the tag and nodded. Andy balled up some tissue paper and threw it at me. We moved onto birthday cake, but I was left with the nagging sense that he was waiting for me to say something else about his present. I just didn’t know what. My dad went to private school, my mother was a freakin’ debutante. They were the country-club set. Until they got married young, my mom dropped out of college, and they had a ridiculous number of kids. Back then, there was no TLC show for idiots attempting to overpopulate the planet. My parents discovered that life was hard when no one hands you a reality show romanticizing the crap out of large families. There was an ugly divorce. There was my mom trying to finish college and get through law school – while having MORE children with her second husband who was also in law school. Meanwhile, my dad struggled to find work in the ever-shifting political landscape of DC. He, too, remarried, and then also had more kids because he was doing such a great job supporting the existing kids. BIRTH CONTROL, young people. FAMILY PLANNING. I cannot stress this enough. My sibs and I all knew that money was tight, but in true Anglo-Saxon fashion, we instinctively knew we were NEVER supposed to let on that we were not as comfortable as our middle class neighbors. Shame and secrets are an integral part of the repressed WASP heritage. So if young Doc Sis cried over being called “Safeway Shoes,” or I hid my “Kmart boots” in the back of the closet, we did it silently. At least we mostly had enough food. Mostly. If there was ever a time for coupons, it was my childhood. Yet coupons were out of the question. My parents couldn’t keep up the charade of plenty by using coupons. Coupons were an admission that you needed a discount. Coupons were a badge of shame. The first time I woke up to see Andy going at the papers and magazines with the scissors on Saturday morning, I freaked out. I drank my coffee and tried to wrap my head around this. Andy went back to cutting. And there it was. Truth, staring me in my proud, white face. Coupons weren’t a badge of shame. They were a badge of smarts. I signed my cats up for Paw Points. I collected coupons. And when I gave Andy a leather jacket for Christmas and he looked at me expectantly, I knew what to say. I’m also amused to note that if your parents had practiced family planning, I wouldn’t be leaving this comment, but PSCS and I are practicing the hell out of it and will continue to after we are married. Yeah, well, if my parents had practiced family planning I wouldn’t be around to have a blog. I’m aware of the irony. So, your parents were anti-coupon? Do tell! I thought it was just mine. And you a Catholic! Oh, no. My parents (especially my mother) were staunchly *pro* coupon, because they did not grow up “lower-middle-class.” They grew up poor. The anti-coupon thing is entirely mine. I’m lazy by nature, I grew up in a suburb, and I Hold Advanced Degrees, which means I should not need coupons. I am, of course, wrong. Yeah. Poor will give you perspective. Andy’s mom talks about how great it was when her family worked in the bean sprout factory in Hong Kong. Because there were at least plenty of bean sprouts to eat. Great contrast of attitudes. Since coupons seem like too much work for me, I just look for sales and try not to buy too much. My wife and I got into couponing for a while. We made a game out of it and were so into it that sometimes we had to argue with the cashiers over which coupons could be doubled, tripled up. It was time consuming, but during those months we didn’t spend any money on toothpaste, shampoo, and other grooming products. Ha! Sebastian, I totally empathize with the wife here. To Andy, it’s not a gift unless it was also a “deal.” But to me, I was always thinking, “What? You got me a gift on sale? Am I not worth FULL PRICE? !” I think that attitude lasted until we had a joint checking account. Great post! When my husband met me, he was shocked how I was getting all these great deals. I got this habit from my grandmother who was poor and had a hard life. I say the same thing about the gifts for my husband. Haha. “Did you know that it’s 70% percent with an extra $$ off?” He looked at the price, ‘How can that be? !” Or when we have a coupon for food, I say to him, “That sandwich you’re eating – it’s free.” Haha. Hey, Eileen! Wow, so you and your Chinese (Taiwanese?) husband are the opposite of Andy and me. Is this grandmother from Maine? 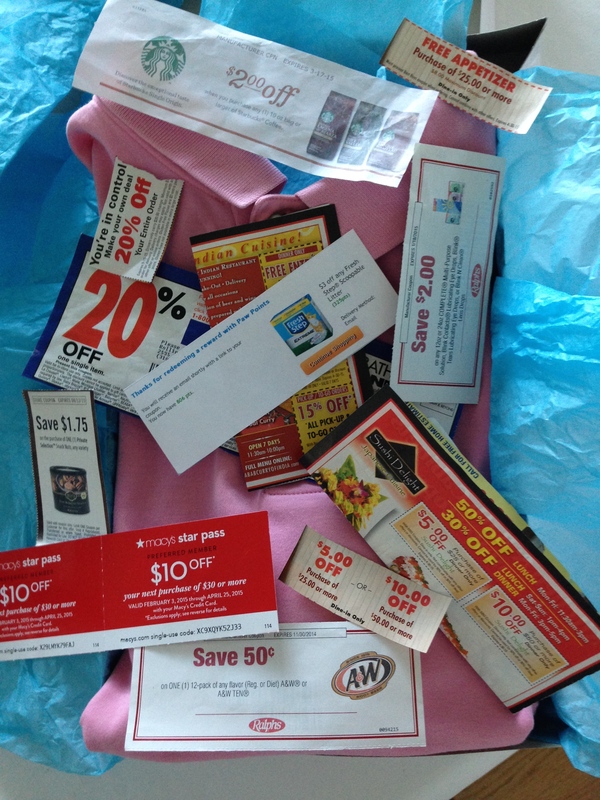 My Boyfriend-Stealing Baby Sister, New Hampshire native, is a most relentless coupon queen. Her Badge of Shame would be paying even half-price! I had one girlfriend who was Korean-American, and another who was Japanese-American, and they laughed hysterically at my cluelessness when I mentioned Andy’s startling couponing skills. They quickly brought me up to speed on Asian stereotypes: in LA, the Korean-Americans are known for their “bling,” while the Japanese-Americans are known for their exquisite politeness. Meanwhile, they informed me that the Chinese-Americans were known for being the “Jews of Asia.” This was interesting, but also troubling on many, many politically incorrect or even racist levels. Autumn, Andy makes me laugh. That sounds so Chinese. When we lived in the Philippines, my husband commented several times on the similarities between Chinese and Jews and their long history in trade and business in that part of the world. I think the major similarity b/w Jews and Chinese is there diaspora. Besides Israel, Jews reside in many Western and Middle Eastern countries. On bigger scale,..besides China, Chinese are the majority in HK, Taiwan, Singapore and have significant population in most Southeast Asian countries (e.g. about 40% of Thais have some Chinese ancestry) and a few Western ones. That’s a good point, PT — but in the case of the Chinese, wasn’t it more of a case of immigration? The diaspora of those of the Jewish faith was often forced — the pogroms of Russia, the expulsion from Spain, for example. After four months we will be serious enough to buy expensive presents? Did you really say that? HAHAHA! Yes, Marta, I really said that. Pretty sure I am with Andy because he (mostly) laughs at my jokes. This post is so awesome! I love it… and it’s so true!! My Chinese boyfriend would never pay full price for anything (unless it’s shoes, mattress or food, he says). I guess the Chinese like to bargain for a reason, huh? I swear, I bet bargaining and shopping on a budget is a national pastime for China. My aunt (who is also Asian, Vietnamese) is actually pretty well-to-do. Still, she clips coupons every weekend and ONLY buys things if she has a deal on it (like those crazy Macy discount cards). While I don’t know how much she’s actually worth (millions, probably), most people would probably think she’s just an average little Asian lady. I guess she probably made all those millions from all those years of coupon cutting, haha. Oh, totally. He was waiting for me to tell him how I got it on sale. A friend told me about a dinner he had long time ago. When the check came at the end of the dinner, one of the attendees slapped on a 2 for 1 coupon and expected it to be payment for his share. NO!! That’s an amazingly skewed way of looking at the bill. When someone brings a 2 for 1 coupon, my girlfriends and I split the bill. Geez. It is impossible to get so many discounts here, or use so many coupons at once. They show it on TV how to go coupon shopping in the US haha. I know, those Extreme Couponing shows are crazy. I’m not sure it’s worth the time it takes. But now, if I’m ordering something online, I’m hunting through Retailmenot to make sure there are no coupons. Well not all Chinese collects coupons(but they do go for sales and discounted items)….because shops (or supermarkets in our case) are run by Chinese, and Chinese companies never giives coupons to their customers (well, rarely) …. No coupons!? Andy would die. But if all the shoppers used coupons like Andy, the shops would go out of business.